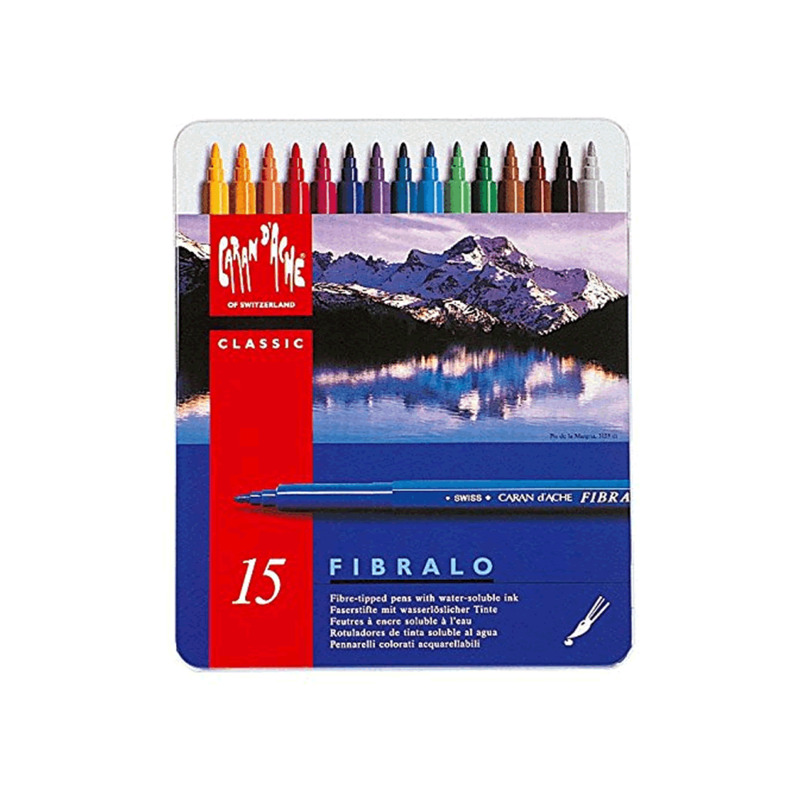 This set of Fibralo pens by Caran D’ache has 10 bright vivid colours that are washable and water-soluble. These pens can be used on their own or alongside watercolours to create washes and other watercolour effects. The ink lasts and can be written with for 600 meters before running out.The 2.5mm nib is hard wearing and easy to use for detailed work as well as colouring in and writing.